Black Joe Lewis and the Honeybears celebrate groove-oriented soul and punked-up RandB. The Austin-based band’s music is bombastic and joyful, using gritty guitar tones and a Stax-style horn section to create intricate, danceable arrangements. Lewis grew up on the classic soul his father loved and the hip hop his friends played. Soul grounded him and hip hop is a genre that even today lends his music and lyrics an edgy sensibility. Lewis learned to play guitar during his teen years in Texas right about the time he discovered the blues—notably deep cuts from shredders like Lightnin’ Hopkins. Iggy Pop was a natural progression, and a major inspiration. 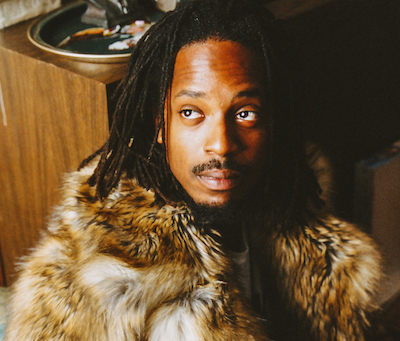 He formed Black Joe Lewis and the Honeybears in 2007 and released his major label debut Tell ‘Em What Your Name Is! the following year. He’s been driving hard ever since with full-throttle, fantastically unhinged live shows. His latest disc with the Honeybears is Backlash.